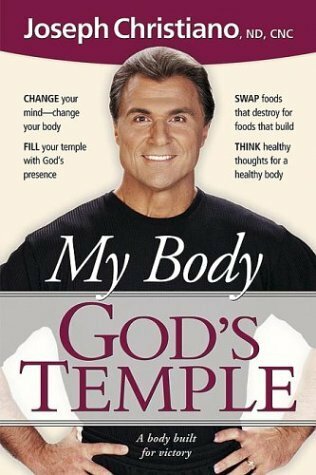 My Body God's Temple, book by Dr. Joseph Christiano in which he shares his heartbeat and passion for everyone interested in building a body for victory. He uses a custom home builder's metaphor throughout the book as a means to simplify the often confusing 'how-to' dilemma that most people face. By providing multiple floor plans for diet ideas, exercise options and proper dietary supplements anyone can learn and apply the simple applications for a lifetime. He approaches health and fitness from the total person concept head on by explaining the connection between the body, soul and spirit and how one affects the other. Besides the education and tools provided in this book he also outlines a 12 month progressive program to follow. 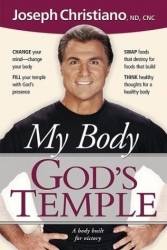 In this book Dr. Joe talks straight from the hip about the deeper meaning for taking care of the body. He will challenge every person who is in search of discovering the answer to the popular question 'why bother.' He takes the readers thinking off themselves and points their attention to their creator and how deserving he is of their faithful stewardship for managing his Temple.